For most of us, the ‘passing-on’ of legendary reggae artist Gregory ‘Cool Ruler’ Isaacs early this week came as a shocker. Yes, we heard about the drug addiction, early firearm charges, cancer tena refusing treatment aiiieei!! !, but what was most important, what we could do something about was his music. Some of the Cool Ruler’s classics were Night Nurse, Rumours, Hard Drugs and Tune-in-kwanza Night Nurse kama hukusikia enyewe una dunia yako. 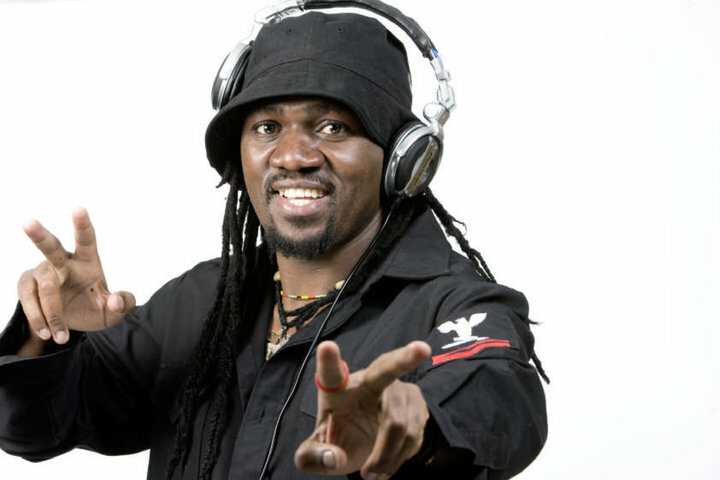 Dj Ras Luigi of One Love on Capital FM (Sunday 5 p.m. -7 p.m.) reflects on the roots reggae singer. He mentions that since he started doing the show (One Love) back in 2004, no show would ever be complete without a song by Gregory Isaacs’ or Don Carlos. “These two artists are the most requested on the show,” he explains. So, how exactly does his death affect him as a DJ? “Well, a hero has left us but the most important thing is that his music (and spirit) will live. But let me tell you, as long as I am a Dj, my mixes will never be complete without his songs,” he swears. 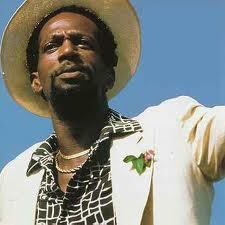 This Sunday (31-10-2010) is going to be a Gregory Isaacs Special. “I’m going to play 20 minutes of his music non-stop. The Cool Ruler’s fans will never forget this show,” he promises. Having so many albums to his name, its possible to play him for like three hours non-stop. Luigi says he was ‘born’ listening to Gregory. “What I love about his music is that its ‘real’-at that time as it is today. He was one of a kind,” he adds. The DJ recalls watching the ‘Cool Ruler’ perform live for the first time when he came to Kenya in early 2000. And he’s sad that he will never have another chance of watching him perform live again. On being a ‘Cool Ruler’, Luigi believes the name came about because of his music (and voice) ability to change the atmosphere. “His music cooled people down and strongly impacted society. He was all about love,” he recalls. A reggae artist himself, Ras Luigi advises young (upcoming) reggae artists to listen to his music as they grow. “When you listen to him, you realize that reggae is not just putting lyrics together, its more than that,” he concludes. Friday evening. Was supposed to meet up Casey and go dancing. For some reason, I end up spending a laid-back evening at home, prepared a vegan meal ‘spiked’ with all things super and lethal, a very cool charming person; all the while sampling Stan’s Kenya Debut Album. The night was awesome, morning glory even better. Satuarday 4 p.m. Went to watch the Kenya (Harambee Stars) vs Uganda (Uganda Cranes) game at the Nyayo National Stadium with my gal pal. The queue was so long, we had to use our feminine charm. We ‘cut’ the line and when some people noticed, they were like, ‘Let them pass, they are just kids…’ Suprising because anyone else who was ‘cutting’ the line was being subjected to abuse by both the crowd and security at the gate. Makes sense though, my pal and I are like barely 5′ 1′, we are in our mid twenties but we do pass for high school kids. A bunch of these four caucasians were however not so lucky. They came straight to the front to ‘cut’ the line (after bribing security) and were booed, abused and pushed around by the crowd. There was such a fiasco as everyone tried to ensure they did not get in. One of the very outspoken women was even secretly asked to shut up and she would also be let in first. She declined. I later heard that plenty of people were not able to get into the stadium and that the tickets had been sold out. “No water bottles allowed,’ we were informed after the ticket check. So there everyone was trying to finish up their water, soda etc. For some reason, I was let in with my water bottle, my pal, who had a soda bottle wasn’t. Could it be that there’s a high possibility of people using water bottles as weapons? Just like live music, I really enjoyed this live match. I liked the energy, especially the crowds’ >mwanzo the famous ‘wave’, and how in unison) everyone demanded for some players to play like Blackberry Odhiambo, the groundnuts kids were selling and the soccer skills some of the kids were displaying at half-time. As for the game, I’m still very disappointed there were NO goals to write home about. Sunday 3 p.m. Play at Alliance Francaise. 10 Kenyan Commandments. Promulgation reloaded. Was once again with my gal pal. Churchill (Dan Ndambuki) and his team are just the ones! Each of those scenes were very typically Kenyan. We loved how the cast just changed on stage (dimmed lights of course). And did I mention how hilarious the narrator was. Loved how he unleashed his ‘Luo’ dance moves on stage. A scene that caught me off guard n’ I totally loved this: The setting is a certain government office. The civil servants are huko stressing out the people as they waited to be served. One woman had had enough and she just snapped (Translated), ‘Do you think you are the only one’s who can go/act mad?’ She proceeded to demand for what she wanted and got it-leaving everyone at the scene silenced and shocked. Every single scene did hit a chord and true; we Kenyans laugh that hard when watching such local productions because we are laughing at ourselves, because we have found ourselves in those situations.